Cc: Century 21 Miller Real Estate Ltd. When it comes to honesty and integrity there is one person that comes to our mind. Doug Grbic. Recently my wife and I were looking to buy our first place, considering all the procedures and steps to be taken we were kind of nervous. One day we call to see a townhouse in Sunday morning, despite some other agents did not want to wake up that early, Doug confirm that he can showed us that house. After viewing the house and talk a bit about our current situation Doug told us that he can look for any house we needed, however due to some changes in our situation we had to stop looking for a house for almost a month. When our situation was normal again Doug called us, just to say hi and that is when we asked him for information of houses in a different city. Before the end of that day, we got an e-mail with several properties that fulfill our expectations. We request to visit six properties in a long weekend, for Doug this is not a challenge. He did all the appointments and was ready to show us the properties in a single day. After a really exciting day we finish and went home to discuss what the best option was. Doug guides us with comments as per the properties and the possible expenses behind a purchase and answered all of our questions clearly and fast. During a long weekend we decided to make an offer. Doug, manage to make an appointment and gather owners and realtor to reach an agreement right there in the spot. In less than an hour we close the deal and Doug outline the next steps without overwhelming us with information. From that point until we close the deal we saw a transparent and fluent communication with the mortgage broker, realtor, lawyer and all parties involved, he showed every step in the process. I consider Doug our friend and I believe that if somebody asks for a reference for a realtor this is the person they want to deal. Doug is an exceptional and hard worker but more important than that he is a warm and kind person that is worth to have as a friend. Several years past we wanted to purchase a Toronto condo. We were given a reference to use Doug Grbic as our agent from a customer that was extremely happy with his past performance. We used Doug and were very happy with his representation; he was always available and willing to go beyond the norm to help us in our purchase. We had no regrets in choosing Doug and our purchase was a great success. Four years later we had a change of situation and wanted to sell our condo. We didn't even think twice before calling Doug to represent us in the sale! As we expected Doug was on top of his game, he knew what we should list our property for and is very knowledgeable in the market. Doug always gave us updates on our listing to let us know what was going on. His service and going beyond the call of duty is outstanding. We sold our unit for a great price in a very competitive market, I am sure this was a result of Doug's extra efforts. One week prior to our closing I told Doug we were going to move our belongings from the unit, Doug showed up ( very classy) to wish us well in our new endeavors, he rolled up his sleeves and started to help us. That's the kind of guy he is. I would highly recommend Doug Grbic in any real estate representation; he is personable, professional, knowledgeable and an all-round great guy. His honesty and integrity are admirable and are the primary reason we had him represent us a second time. Great job Doug! And thanks for helping us sell our unit. Doug Grbic is highly knowledgeable real estate agent and friendly and approachable at the same time. He handled our sale on a very professional level keeping us posted for every change or possibility of a change on a daily basis. The photo and video presentations as well as the postings on the both Hamilton and Oakville Board , brought us an offer only after a week ourhouse being on the market. He was an excellent negotiator helping us to receive a price more than we expected and he really understood and appreciated our needs. Keep up the excellent work Doug!!! Paul and I just wanted to thank you again for helping me firm up our wish list for finding our first home together. real estate ads for many years (not months) without taking it to the next step. I was happy with the selection of locations & choices of properties that we visited right from that first weekend in February. You also listened well and Paul and I were both impressed by your practical advice & knowledge of the market. real estate office. You were as pleased for us as we were for you (to be your first sale). Over the years we have without hesitation retold the story and recommended you to our neighbours and friends. Our family would like to thank you for helping us purchase our first home. With your professional guidance and knowledge, you were able to make our dream home become a reality. You really cared for us through every step of the purchasing process and we really admire your dedication and commitment to us. We definitely recommend you to anyone who is seeking assistance during such an important time in their lives. We look forward to staying in touch with you down the road and referring any business to you that we encounter. My name is Milana Krasulja, my family and I have been dealing with Doug Grbic since April 2010. We have put our house on market with him (14-100 Quigley Road, Hamilton), and we bought another house with him (566 Greenhill Avenue, Hamilton). Both my family and I are extremely satisfied with Doug’s great customer service skills and his very professional work. He has helped us with our decision making in regards where to buy another property. His great personality and ability to communicate very professionally has made us really enjoy the times between buying and selling. Overall, Doug is a great agent and it was pleasure working with him for the few months. In near future, we will be more than willing to work with Doug again. I have personally employed Mr. Doug Grbic skills with my first home purchase. This was a pleasant experience for a new grad who was at that time starting her career as Registered Nurse and who was looking to establish an independent life style. Mr.Grbic was capable of listening to my specific needs necessary to create a home of my own. As young woman, purchasing a home for the first time was an intimidating experience with many terms and conditions that were not clear to me. Doug was able to help me understand how purchase of a home works and more so to analyze the market at that time to best fit my needs as a young adult. He e-mailed to me some comparable listings in area I was interested and analyze the pros and cons of certain listings. He was very punctual when meeting with me and my family who also accompained through the process and he demostrated patients and knowledge while answering many of our questions. When I finally made my choice of a home, he helped me get through the purchasing process smoothly and easily reffering me to other sources necessary to conclude the purchase. After dealing with Doug with my first home purchase, I have gained confidence based on knowledge and advice he has provided me. 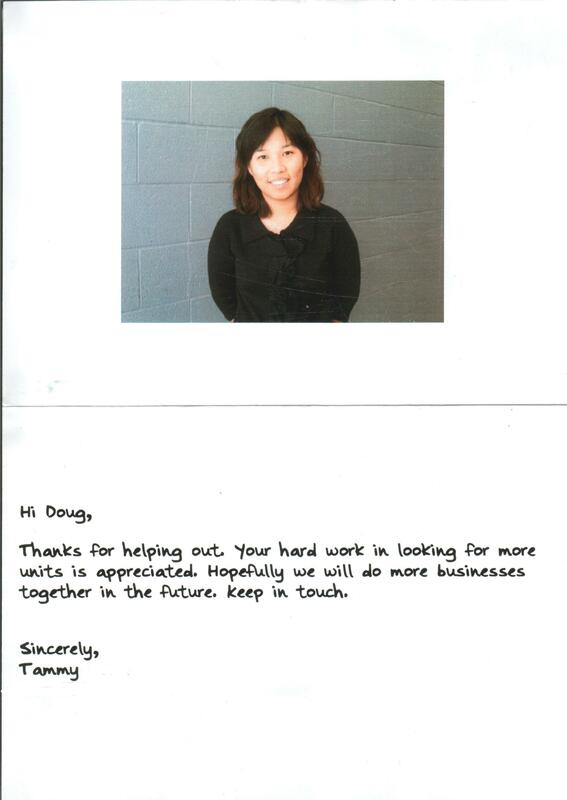 I will consider Doug and contact him for my next home, whether that is a home for my family or for an investment. Doug is not simple real estate agent; he's teacher, a friend and advisor, especially when dealing with first home purchase. If I could describe Doug in few adjectives, it would be: honest, punctual, polite, caring ancompassionate, understanding, knowledgeable and many more that can't fit in here. He is an excellent agent when it comes to dealing for the first time home purchase. I advise anybody, but especially young adults to utilize Doug's services. I strongly believe that Doug is a resourceful and knowledgeable agent who can make your home purchase a pleasant and smooth experience. He is caring and will treat you respecfully as a whole person and not like some other client. Doug is a great real-estate agent. I'm young psychiatric nurse at St. Joseph Hospital who is happy to have a home like the one I have today and I thank Doug for that. With these few words we can't express our gratitude for everything that you did for us and helped us in purchase of our first home. In you we got a better friend then all our friends here in Canada after just a few months of knowing you. Your enthusiasm and persistance were bigger than ours and we thank you thousand times for that.Your faith in us was huge and because of that we dont have words of gratitude to thank you enough. Everything that we want for us and our family thats what we wish for you too and we hope that our friendship wont end up on purchase of this house but it will last untill the rest of our lives. Million times thank you". the sale was complete and were fair in your rates.